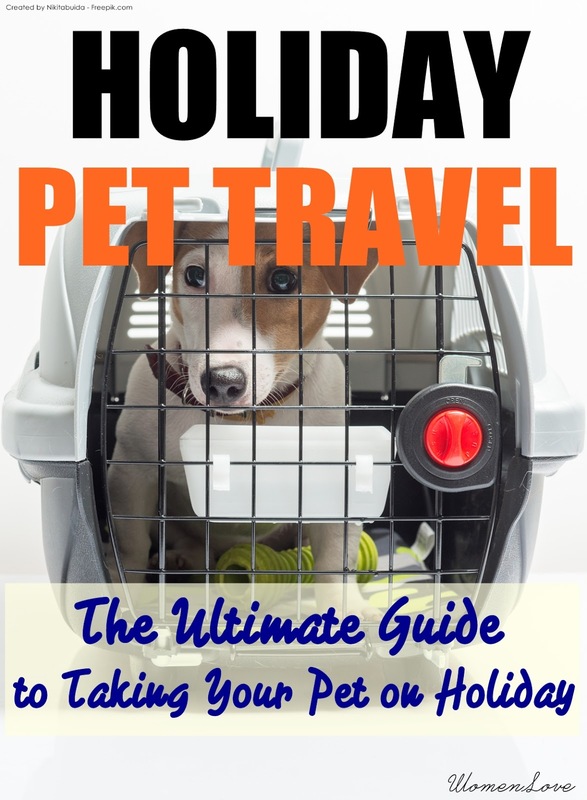 One of the peak seasons for travel is the holidays, and it is the good time to tak your pet on holiday with you. Whether you are off on enjoying the magical feeling of a Swiss village, visiting family or on a ski vacation, having your pet along will make the trip more enjoyable. Be sure to consider pet identification before you leave. It will be great if your pet have Pet ID tags with your CELL PHONE number because there won't anyone at home to answer the phone. Add safety of a pet microchip must be considered. If your pet is separated from you,a veterinarian or a shelter can read the chip, and they can then track you down through the database of the company who manufactured the microchip. And consider buying a second Pet ID tag with the contact information on where you will be staying a couple of weeks in one place. Pet crates are a great way to keep your pet safe when traveling in the car. Unless a pet is harnessed or confined, its behavior can cause big distraction to the driver of the car. As much as we all like our smaller pet in our lap, it is detrimental to the safety of the driver and the passengers riding in the car, and the pet. A collision, even at a slow speed, can seriously injure an unrestrained pet. It is your responsibility on the safety of your pet. 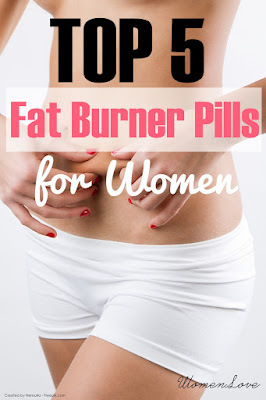 Be sure and buckle them in (just as you do for yourself) or confine them in a crate. If it is very cold or very warm, do not leave your pet in the car alone. Be prepared by having a supply of food, water, and food/water bowls in the car. You may not find the brand of pet food they are used to where you are going. 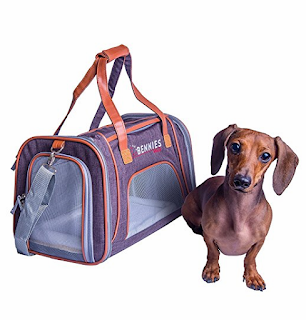 If your pet is larger than about 15 pounds, and you are traveling by air, then you will need a pet crate that is compliant with the International Airline Transport Association (IATA) regulations. If you will be staying in a hotel, then the pet crate is the proper place to leave your pet while you go out to dinner. Make sure that the pet crate is large enough so that your pet can stand up and turn around. Be sure to leave an adequate supply of water and food to last for the period that you will be away. It is also a good idea to place an absorbent pet pad in the bottom of the crate that will keep your pet dry in case of accidents. Buy your crate well in advance of your trip so that the pet can get used to it before you travel. Pet crates come in two pieces, a top and a bottom. For a few days leave the top off the crate and put treats and a favorite toy in just the bottom portion. After seeing that your pet is comfortable, assemble the crate and leave the door open. Invite them in with praise and treats. 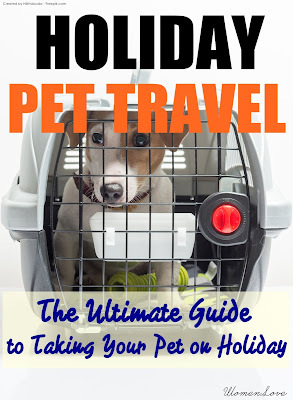 Before you travel, you should buy your pet's crate first so that the pet can get used to it. Pet crates come in two pieces, a top and a bottom. For a few days leave the top off the crate and put a favorite toy and treats in just the bottom portion. Nowadays flying with your pet is easy. Almost all airlines accept pets on board the aircraft. 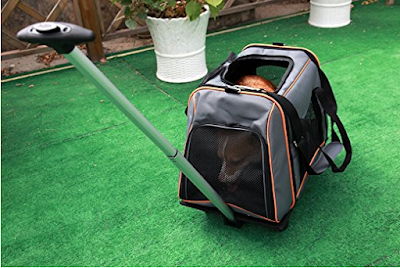 Very small pets can often travel in the cabin of the aircraft with you in an airline compliant pet carrier. Larger pets will travel as checked baggage in a special section of the cargo hold where the pressure and temperature is the same as in the cabin. Be sure to alert the captain of the aircraft that you have a pet in cargo as he will take extra care to keep the pressure and temperature at the proper levels. You will need a health certificate stating that your pet is healthy enough to fly. Be sure to make reservations early as the airlines only allow a limited number of pets per flight. 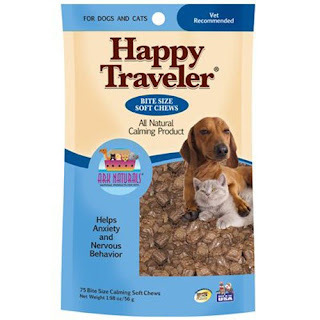 Stay away from medical tranquilizers for your pet and instead give them an all natural product that makes them less anxious such as a product called Happy Traveler. You will need lodging on the way. You should find the pet friendly hotels, motels and bed & breakfasts that accept pets but they do not always accept all types and sizes. It is important to make your reservations in advance and ask about their pet policy. You cannot leave your pet in the car overnight. When traveling, keep your pet on their normal schedule by feeding them and taking them for their "walk" as close to the regular time as possible. Be sure to pack a supply of plastic bags to take along on those walks. 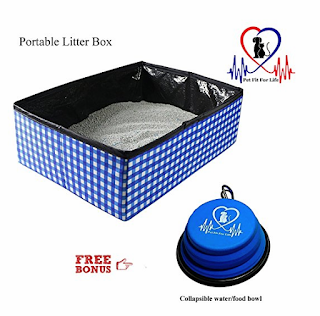 If you are traveling with a cat, there are portable kitty litter trays available. Realize that your pet is out of their normal surroundings, so be sure and keep them on a leash and watch them closely. Reassure them should they show signs of nervousness or anxiety. Be considerate of other people. Although there are many pet lovers in this world, there are some people who do not feel comfortable around pets. Respect others by restraining your pet when necessary. So whether your destination is a ski resort in Switzerland, a mountain cabin or your Grandma's house, your pet can accompany you with the proper planning. International destinations require special veterinary certificates, however when traveling to most countries, there will be no quarantine of your pet.